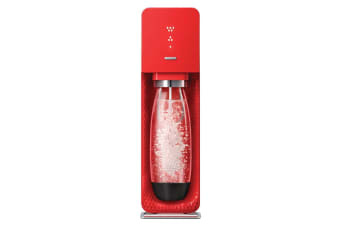 Create delicious and healthy sparkling drinks at home! 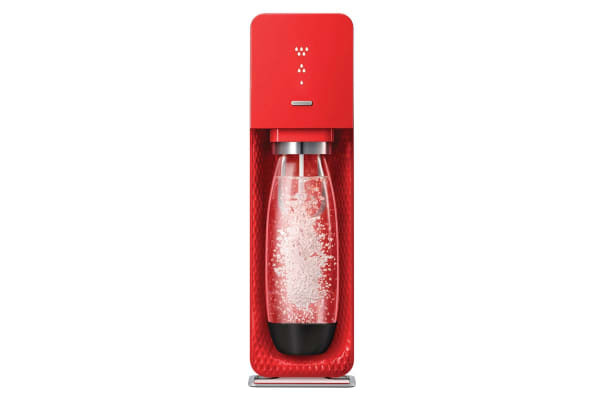 The Sodastream Source Element Sparkling Water Maker, designed by renowned European designer Yves Behar, is a slick and elegant addition to your kitchen, allowing you to create homemade sparkling water and flavoured carbonated beverages in seconds. Powered by a refillable CO2 canister, Source’s responsive touch system allows you to create three levels of fizz, clearly visible on an LED display, while a new Snap-Lock mechanism makes the system quick, simple and easy to use.